If you’ve ever walked into a specialty ice cream store, you’re quickly overwhelmed by the number of options, including different flavors, toppings and cones. Americans love choices. But some are easier to make than others. Many people purchase dental coverage through a stand-alone benefits plan offered by their employer. Stand-alone plans are offered separately from other plans, like medical. A Henry J. Kaiser Foundation 2014 Employer Health Benefits Survey discovered that 53 percent of companies providing health benefits offer or contribute to a stand-alone dental plan for their employees. Complete family coverage, including adults and children, with the option to add orthodontia. An extensive dental provider network that typically is available to individuals and families across the country. Coverage choices that may be tailored to an employee’s specific needs. Plan premiums priced accurate to avoid drastic increases at renewal. Claims and customer service that support dental coverage. Plan deductible may be $500 or higher. 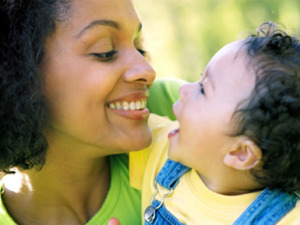 The annual preventive dental care benefits for dental exams and professional cleanings may be paid for children only. Adults will need to pay out of pocket for their own dental care. Common dental services, such as fillings and crowns, may not be covered until the deductible for the total plan is satisfied. Until it’s reached, costs for dental procedures will need to be paid out of pocket. Cosmetic orthodontia for kids may not be covered. Medical insurance companies may advise parents and caregivers that they must purchase pediatric dental coverage as part of their medical plan. But that’s not the case. In many states, stand-alone dental insurance (providing complete family coverage) may be purchased separately from medical plans. Parents purchasing pediatric dental coverage will need their own dental plan to cover their oral health needs, including those of dependents age 19 and older. Please send my new dental insurance card. You can also call 800-659-2223. IS USA DENTAL AMERITAS A SAFE DENTAL INSURANCE TO PURCHASE AND USE IN NORTHERN. CA? I NEED FULL DETAIL OF THIS DENTAL INSURANCE . THANK YOU. Thanks for your inquiry! Please call our Woodland Hills, California, office at 818-907-9071 or 977-907-9071. Thank you! I have dental coverage through your company effective Feb 1st 2017 but never received my card. I need to see a dentist ASAP but have no group number or anything to prove I actually have coverage. can you please me a card? Hi Laura, We would be happy to assist you with this! Please give our dental customer service team a call at 800-659-2223 or send us an email at adminserv@employeeBenefitservice.com.